Could your wellness routine use a Spring makeover? Check out Vermont Sun! They’re ourfeatured Co-op Connection Business this month and they offer 10% off to Co-op member-owners! Vermont Sun has been keeping our community fit since 1985. 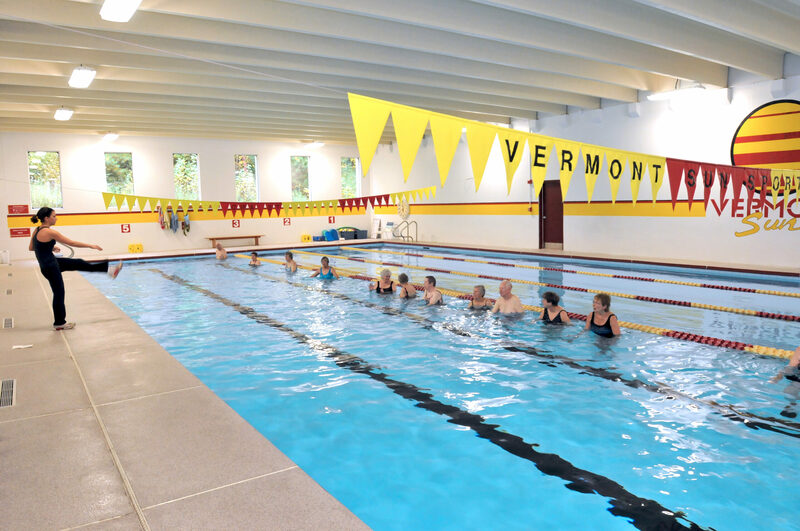 Whether you’re visiting their facilities in Middlebury or Vergennes, you’ll find their clubs geared up with the essential elements of a great workout. Their fitness equipment vendors are the best in the industry, and their club owners stay current with the latest technology! They offer a wide variety of cardio, strength, and free weight equipment to ensure that you get the best possible workout. If you’re looking for great group fitness classes, you’ll find over 250 each month, including Yoga, Spinning, Zumba, Body Pump, Arthritis Aqua Aerobics, Senior Fitness classes, Self-defense classes, and more! There’s something for every age group from kids to seniors. Their facilities also offer racquetball courts, saunas, and indoor pools for lap swimming, rehab, or recreation. Need help to ease safely back into a workout routine? Or maybe you’re just looking to set some new fitness and nutrition goals and could use a professional guide? Vermont Sun offers Personal Training services and Nutritional Counseling from a knowledgeable staff of certified, credentialed specialists. In short, Vermont Sun has everything you need to help make your New Year’s Resolution a reality! Stop in and find out for yourself why they are voted the #1 Fitness Center in the region year after year! And don’t forget to tell them you’re a Co-op member-owner!